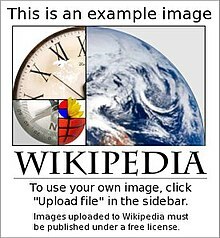 Page information shows information about a page on Wikipedia. A link to "Page information" is in the Tools panel of the sidebar. This information section shows results from scanning the page for Lint errors. These are detected by the Extension:Linter program. When viewing page information, the wiki software can show additional custom text at the start and end of the page. The top of the information page (before the first section for "Basic information") comes from the MediaWiki:Pageinfo-header template. It is blank by default, but individual wikis can add content here. For example, on English Wikipedia, the header is used to link to the page you are currently reading. The bottom of the information can be customised via the MediaWiki:Pageinfo-footer. template It is blank by default but can be set at each wiki. For example, on English Wikipedia, it is used to create an addition section with "External tools".